This would make a great baby gift! 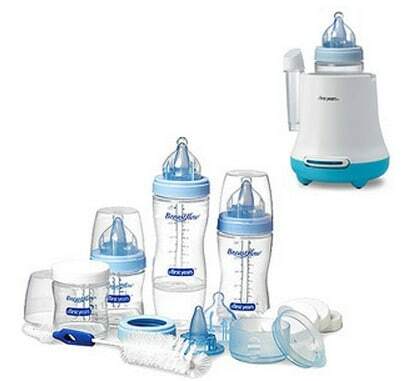 You can get the The First Years Breastflow Bottle Gift Set & Warmer Bundle is on sale for $29 at Walmart.com right now. That's a great price for this bundle. Fits wide, narrow, angled, and disposable bottles. Warm your bottle safely every time. Shipping is FREE with Site to Store, or get FREE Shipping to home with $50+ order.